Piano lessons for all ages, individuals or group, young or old, beginner or life-long learner; join the Fun-Key Revolution and make music fun again! New for Fall 2017 “Little Twinklers”! 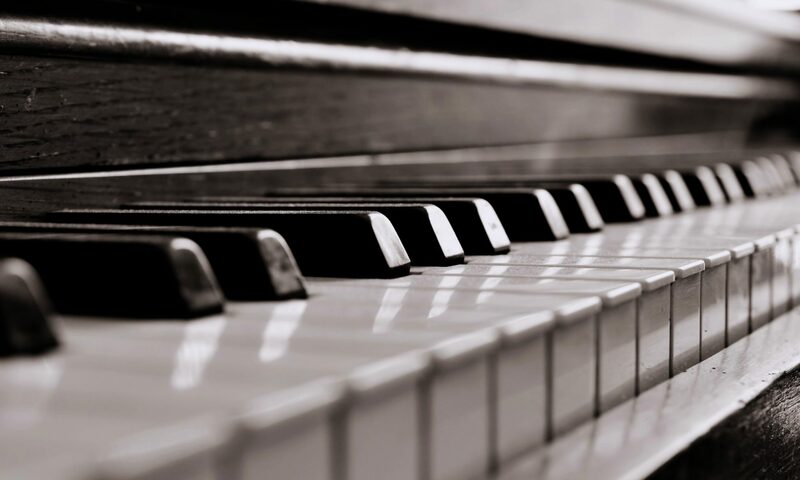 Group piano lessons held at schools and day cares in Lakewood, Golden, and Wheat Ridge! A variety of lessons created to suit you and your needs. These are the traditional one-on-one format for piano lessons. Lessons are given in 30, 45, or 60-minute sessions. Private lessons are for the student who wants to explore music in-depth and are able to commit a measurable amount of time to practice every week. Lessons are given to small groups of children (2-3) and touch on basic fundamentals of piano and music learning. These lessons are designed for basic beginners who may not have the means or time to practice, but would like an introduction to the instrument. Please click the Submit button when finished. New tuition will go into effect taking into account school breaks (Winter and Spring Break) and 4 allotted missed days (weather, illness, emergency, etc). Cancellations must be made no later than 24 hrs. prior to lesson start. No credits/refunds will be made for canceled lessons. Lessons that are missed beyond the 4 allotted days will be taken into account on a case-by-case basis. If you wish to discontinue lessons permanently, 30 day notice is required. Mrs. Laura Lizut, MM, has over 10 years teaching experience, with student age ranging from 3 to 67 years old. She is recognized as a Student Achievement Recognition Award (StAR) winner from the Music Teachers National Association (MTNA). She began her studies in piano at the age of nine and continued to receive her Bachelors of Music Performance from Northern Arizona University and Masters of Performance from Illinois State University. During her studies, she was awarded scholarships, assistantships, and competency awards through various music associations and institutions. Laura is a former Adjunct Faculty at Northern Arizona University (NAU) where she designed and implemented new curriculum for group piano classes which enrolled both music majors and non-majors. 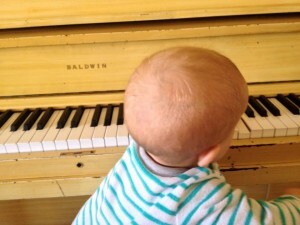 My son at the piano. My youngest student! For three years, Laura was a general music teacher at Santo Nino Regional Catholic School in Santa Fe, NM. Students in Early Child Education (ECE) to 6th grade were introduced to music fundamentals through theory games, movement, and instrument playing. Her students were eager to perform in front of their family and peers during school-wide performances throughout the year. Laura has also served as faculty, music director, and accompanist for the Curry Summer Music Camp at Northern Arizona University and Rocky Mountain Theater for Kids in Denver and Boulder, CO..
Laura loves to share her passion for music with others. 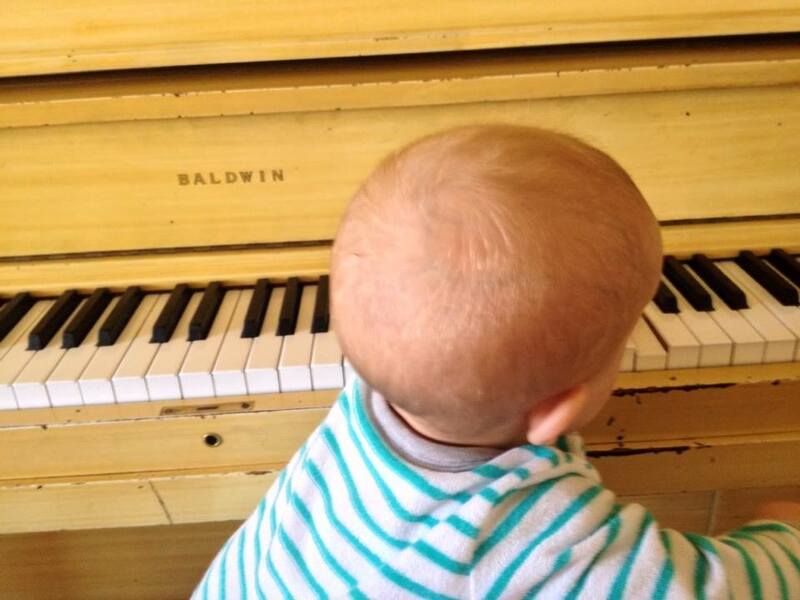 She believes that the piano is a great introductory instrument for any budding musician. She has experience working with beginning to advanced students and looks forward to working towards your musical journey!